This DVD is suitable to explore how water changes the surface of the earth. 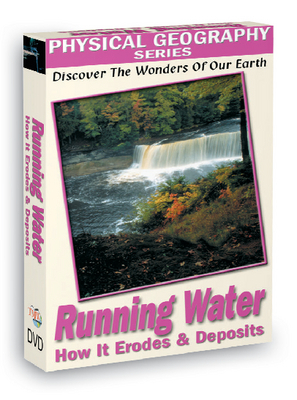 With video, still shots, illustrations, and computer animations the effects of running water are shown in detail. The DVD includes a teacher’s guide with glossary of terms, suggested teaching activities, and a quiz. Duration: 41 minutes.